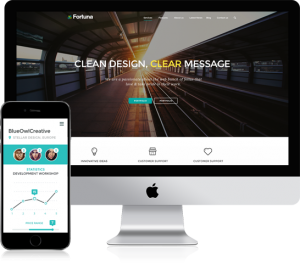 Fortuna features a highly customizable Tab Element that is very easy to manage. You can set the tabs style (minimal or container), direction (horizontal or vertical), add icons to the items, implement inner rows and columns for each tab content etc. Check out some of the most useful element options below as well as a few examples further below them. We created around 30 custom shortcodes that have so many customization options that will blow your mind. You can create custom templates holding sets of elements that you can further reuse on your pages.